This week we ventured into Wonderopolis. I can confidently say Wonderopolis is my students’ new favorite thing. It keeps them still when the bell rings for recess. It makes them cheer when we start and whine when we have to stop. “What are you wondering?” is the most natural thing to ask a child. And the wonderings of Wonderopolis are boundless. 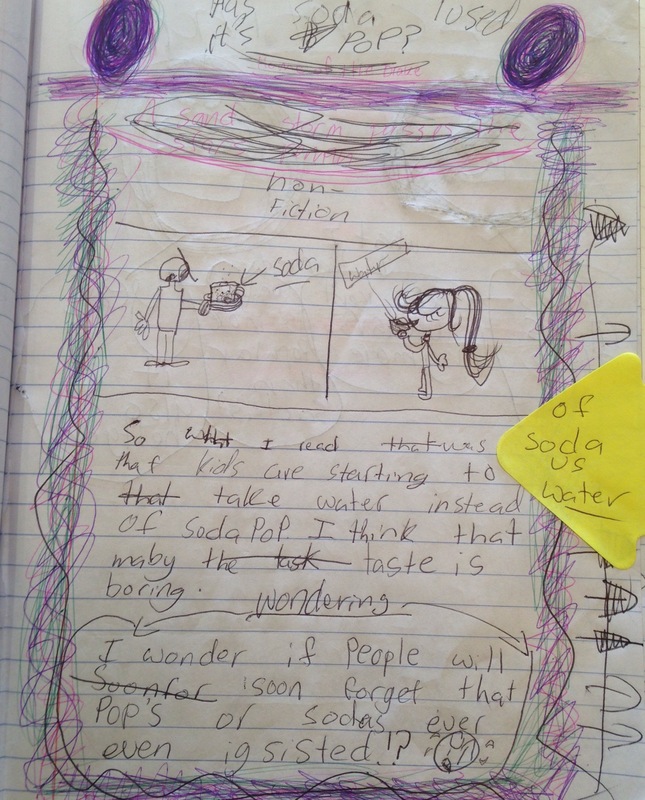 This week I celebrate our wondering and Wonderopolis. Writing makes thinking happen. So writing about reading makes perfect sense. Unless you are anyone who just wants to read to find out. 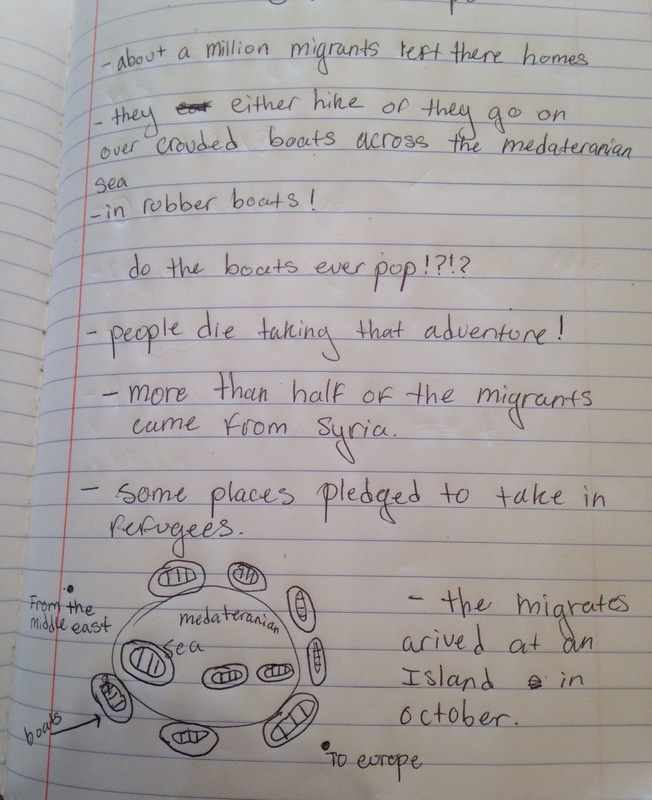 Last week I challenged kids to write about their reading in a way that expressed themselves and showed their thinking about their nonfiction reading. I believe student voice and understanding exists in these images. This week I celebrate student writing about reading that fits the mindset of the student not the assignment of the teacher. On Tuesday, my student, K, picked up this 304-page book. K is the kind of reader whose book selection leans toward thin books with exciting covers. I watched. Wednesday I wandered up to his table and found him two-thirds through the book. Me: Whoa! You just got this yesterday! K, looking up at me: Yeah, it’s a really good book! S across from him: I am surprised too. He just got it. K: It’s just a really good book! This week I celebrate K finding “a really good” book. This week I celebrate my students who wonder, write about and enjoy reading. I celebrate the creators of books, magazines and online media that speak to my students’ interests. I celebrate the time to find and the time process. Thank you, Ruth Ayers, for the opportunity to share my celebrations each week. Find more celebrations here. I wonder how we could help adults keep wondering and finding really good books. I think that some of them have forgotten the joy of both – being curious and reading. So true! We need to place more value on both activities! We love Wonderopolis, too! I love the way their responses are so visual and individual – now that is evidence of learning that sticks. So glad you discovered Wonderopolis! We love it! But I always have to change up the requirements to make them want to do it. For the next few weeks we will be making our own books based on Wonders we are calling “Passion Projects.” I’ll probably write about it for DigiLit Sunday. Today got away from me for writing a post. Thanks for sharing your joy. I can see the need to change it up from time to time. Did you see Tara’s post today ? Yes. I think I’ll try that move at the beginning of the year. Always good to find a topic that’s interesting, then learn more. I liked seeing the notes! What great wondering, thinking, and responding! I wish I could be in your class. 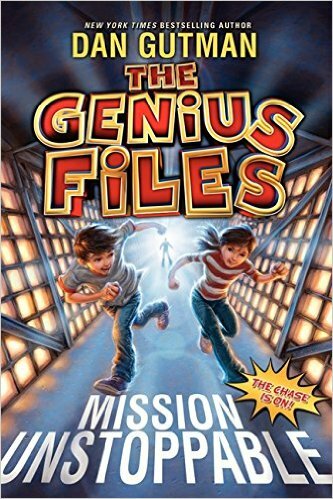 I loved the Genius Files and it is a great book to get those students who think they are not readers reading! 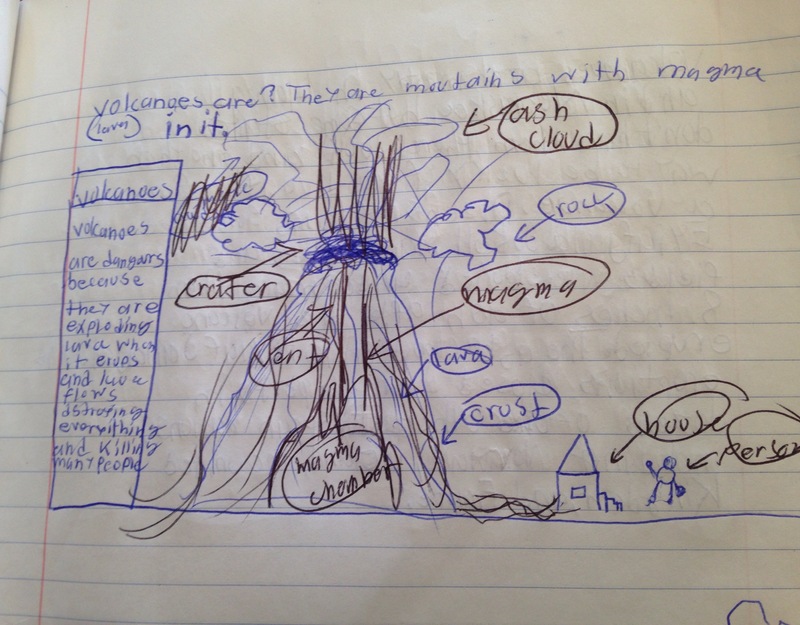 I love the writing combined with images in your students’ responses. We have to keep kids wondering! Kudos to you for making learning come alive! I really like this writing/responses from your students. So interesting to see their perspectives and what sticks out to them. Really interesting!